'An emotional rollercoaster of a read... profoundly touching and moving'- Daily Express*. 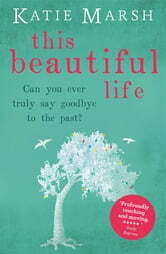 * Perfect for fans of Jojo Moyes and Jodi Picoult. Abi has been given the second chance she never expected: she's in remission. Now she's trying to get her life - and her family - back on track after facing the worst. But it's hard to trust in happiness again, and reconnecting with her husband John proves more challenging than she thought. Can you really go back to 'normal' after thinking you're going to lose one another? With Abi's son Seb struggling with a secret of his own, the three of them are in danger of falling apart just when they need each other most. But how do you pick up the pieces of a family still suffering emotional shockwaves? And can Abi bring the people she loves most in the world back together again... before it's too late?